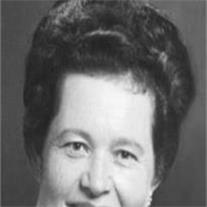 ETHEL MAE MILLETT HALE, 85, peacefully passed into eternity Friday, July 15, 2011, in Mesa, Arizona. She was born in Gilbert, Arizona on June 27, 1926, the only daughter of William Howard and Lillian Mable Freestone Millett. She was the source of much sweetness in a family of five brothers: Howard, Lyal, Teddy, Donald, and Richard. She graduated from Mesa High School in 1944. Her beautiful smile was freely shared and when she sang, her voice would thrill all who heard “to the very heart.